Yesterday, I opened up my Facebook account and saw a friend sharing an article from Kerri Sparling, of Six Until Me . Kerri was discussing “Those Online People” and shared a conversation she had over a coffee. It was about whether the connections made online were “real” friendships or not. About 10 years ago, I ventured into the world of the Internet. I ran across a website aptly named www.childrenwithdiabetes.com . They had a support list for parents of children with diabetes. I signed up and immediately was in a world where people got it, they lived it, and they understood how I felt. I was no longer alone. They had answers to my questions or at least a shoulder to lean on through the tough times. Their support has never waivered after all of these years. In the beginning, when I spoke of these people, I didn’t know how to refer to them. They were my online support group. They were people that I had not met and yet they were people that I spoke with on a daily basis. I wondered how others would react if I called them “friends” but they were more than that so to not call them friends seemed to devalue them. Over time, I realized that they were not my “online friends”. They were not my i”maginary friends” as others who were struggling with the same concept would often say. These people had become my family. They were there in my darkest hours. They were there on the sunniest of days. There were disagreements. There were victories shared. We watched each other’s children grow. We shared in the milestones of all of our children with diabetes and without. We laughed with each other and we cried. We were there for each other through funerals, divorces and marriages. After a period of years, I was able to begin to put faces and voices to many of the members of my diabetes family. We traveled to various locations and were invited into the homes of these great people. We went to conferences and expanded our relationships. I was recently asked why I go to the Friends for Life conferences. It was suggested that they were boring and not necessarily worth the money. I was shocked to the core that someone could think such a thing but then I realized that they had not walked were we had. They did not understand that FFL conferences were not just about learning–they have amazing speakers and interactive sessions that always allow me to take home something new. These conferences are a family reunion. Its as much about learning from the amazing array of speakers that they have as it is about catching up with old friends. I enjoy having a glass of wine with the friends who have helped to get me this far in life. I like chatting and catching up with the people who were there for me when things were going wrong and I wanted to just hide under a rock and call it done. I love seeing the children who were only babies when we first “met” and have grown to be amazing, inspirational young adults. 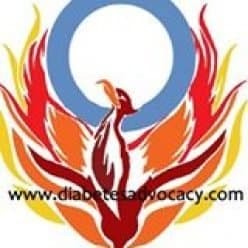 The diabetes online community has brought together some incredible people. Together we have somehow managed to bring out the very best in one another and create some amazing changes in the world of diabetes. I hate diabetes and like everyone else, long for a cure. I love the family that diabetes has brought to us however. Their warmth, their kindness, and their unwavering support truly make them “Friends for Life” or as I have said before, my diabetes Family. Next Next post: She’s Gonna Blow!! !